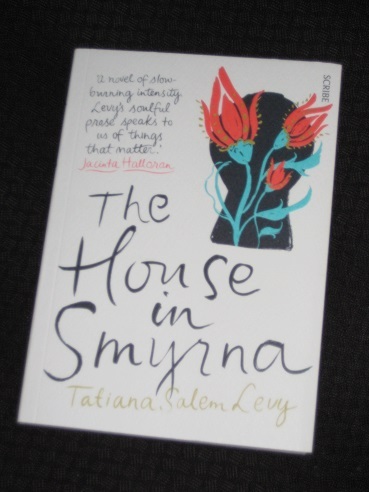 Tatiana Salem Levy was one of the writers featured in Granta’s Best Young Brazilian Novelists list a couple of years back, and her debut novel, The House in Smyrna (translated by Alison Entrekin, review copy courtesy of Scribe Publications), will certainly add to the growing reputation of contemporary Brazilian literature. It is a mesmerising, at times confusing, tale of a woman on a journey both literal and metaphorical. The reader is in the hands of a nameless narrator, apparently ill, paralysed at times, and the story she tells concerns a key her grandfather has given her, one belonging to the front door of the family house in Turkey. While the novel may sound fairly straightforward, it is actually anything but. The House in Smyrna is a story told in many parts, with one main voice controlling a whole host of ideas. The narrative delights in leaping between sections, some lasting a few pages, some a matter of a sentence or two, and the reader is often unsure as to who is being addressed or discussed, meaning there’s a fair chance you’ll be turning back again and again to find your bearings. You know this pain I feel in my body, the weight on my shoulders, is the unforgotten past that I carry with me. The past of generations and generations. No, my child, what you carry on your fragile shoulders are the silences of the past. You carry what has never been uttered, what has never been heard. I warned you, silence is dangerous. Later, we are gradually admitted into the family’s secrets, learning of the arrival of the narrator’s grandfather in Brazil, and the life his daughter led during times of political unrest. Outside the family, the main character of the novel is the narrator’s lover, yet another nameless figure who lends a sensual, carnal nature to the book. In a welcome contrast to the painful scenes of the mother’s decline, the writing switches to passages of lust, featuring two young people who can’t keep their hands off each other. Love? Not quite. With their relationship alternating between ecstasy and estrangement, the narrator seems fated to be hurt by her partner just as much as she is in her family life. Whether seductive or descriptive, the language is used to draw the reader in. There’s frequently a claustrophobic feel, with the reader trapped inside the narrator’s head. Once the locals learn of her roots, she is treated like a prodigal daughter, the truth of her roots shown in her features. Perhaps this long-delayed journey is a final homecoming of sorts. There is, however, one aspect of the novel that (deliberately) remains confusing, with the narrator claiming several times that the whole story is merely in her head. The ‘illness’ the narrator suffers from is suitably vague, leaving the reader unsure as to whether the journey to Smyrna ever happened at all. These occasional claims unsettle the reader, leading us to question everything which has happened up to that point, forcing us to re-examine sections for hints as to the ‘true’ story. As unreliable narrators go, this is certainly someone you would be unwise to trust fully. So, is The House in Smyrna a story of what is or what should have been? In truth, it doesn’t really matter. What is important is that Salem Levy’s wonderful writing compels us to invest in a character we can never really see completely, a woman hidden away in plain sight. Since this debut, Salem Levy has produced two more novels – let’s hope the wave of Brazilian literature continues to surge into the Anglophone world, and that it brings more from the writer in its wake. A very talented writer, I agree. I hope more translations are forthcoming. My claim to fame is that I met her when she was doing a writing residency in Switzerland. Her English is very good – maybe she should translate herself!